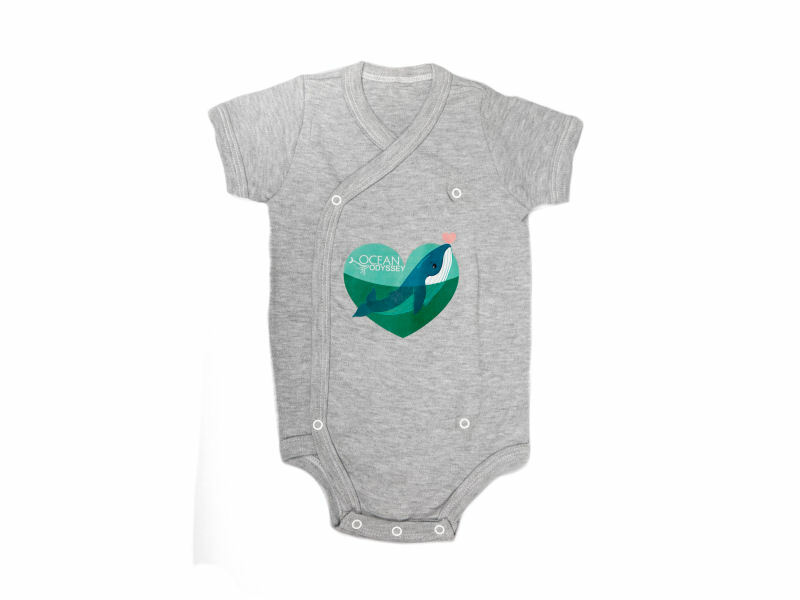 White or grey cross over onesie made from 100% cotton. Machine washable and easy front opening. 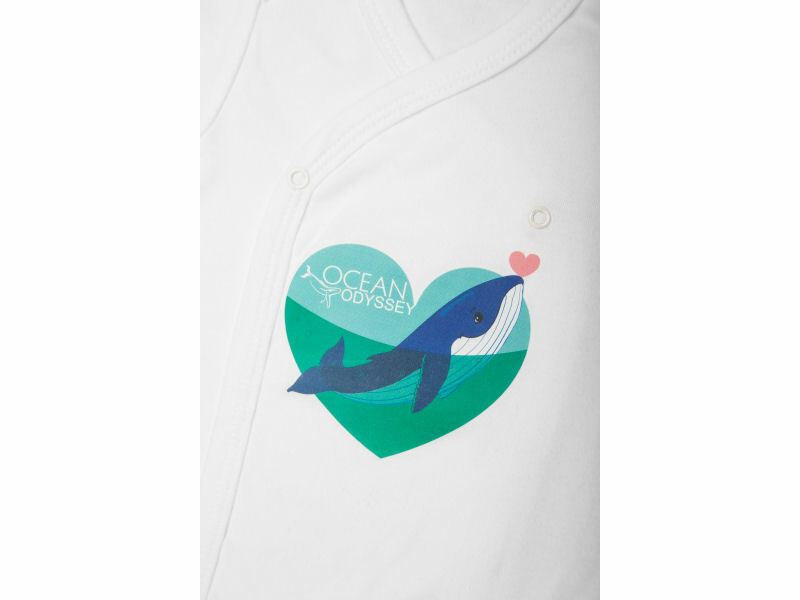 Beautiful whale in heart print with Ocean Odyssey branding.